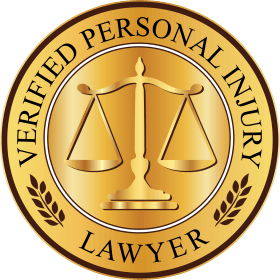 Considering lawyer advertising for your personal injury law practice? 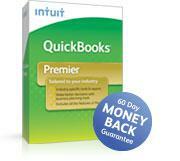 Be prepared to commit a sufficient amount of money every month without interruption. Already advertising? Get even more clients for free! Businesses and advertising agencies have long ago realized that whether you’re advertising in a newspaper, magazine, TV or Radio, effective advertising must be consistently seen by your target audience over a long period of time. Additionally, there are other factors which require sustained advertising campaigns. There are good months and bad months for any business, but even more so for a personal injury law practice because there are so few good cases. A short test of advertising over a period of one to three months to see “if it will work out for me” is simply gambling. 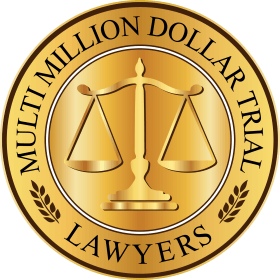 The most successful media for lawyer advertising is broadcast television, which my experience has shown to be four times more effective than local cable TV. You can expect to spend from $3,000 to $30,000 per month in small television markets to as much as $5,000 to $100,000 per month and more in large television markets. 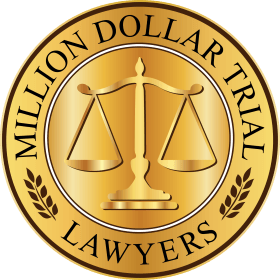 Some personal injury law firms are spending as much as several million dollars per year, even in some small markets. Web sites are inexpensive, however, for personal injury lawyers, web sites work best as an online brochure or for brand building, rather than for obtaining clients from Internet searches. Clients with more serious injuries are usually in a hospital bed or in bed at home without easy access to a computer and will call a telephone number in lawyer advertising they see on TV. So the question is, how does a solo lawyer or small law practice with a limited budget, unable or unwilling to spend a lot of money on television, compete with law firms advertising on TV? The answer is surprisingly simple. Since competition is everywhere, not just on TV, you always need to compete and that means you just need to stand out. Fortunately, that’s very easy. Tell the public know that you have something different to offer. As a solo lawyer or small law office, you can offer “personal service”, one of the most important issues to a potential client. Make sure that you actually give personal service and not just offer it. That means promptly returning clients’ telephone calls within the same day that you receive a message and taking the time to speak to your clients without rushing them off the phone. Don’t shunt calls off to a paralegal or secretary. Clients want to talk to their lawyer, not your secretary or paralegal. Forget that you’re a lawyer and pretend that you run a business. Your primary job should be customer relations in a business providing legal services. Costco CEO Jim Sinegal, wearing his name badge that says “Jim”, spends much of his time visiting his stores talking to customers and employees. I have found that clients are very happy to be able to speak with their lawyer for a few minutes on the telephone, instead of meeting with you. I suggest that you spend your time in the office speaking with clients and use per diem lawyers to make court appearances. You will save time, your clients will rarely change lawyers, and client referrals will go way up. You need to take all steps necessary to make your clients’ lives easy. Where other lawyers may have clients do some of the work, you should do it all. For instance, in a personal injury practice, instead of asking your client to get a police report, your office should get the police report. Instead of having your client fill out a no-fault application and insurance claim forms, your office should fill it out. I did all that and also offered to help my clients get reimbursement for property damage to their cars, for free. The next question is, how do you tell the public know about your fabulous services? Step number 1. Create a Wallet Billboard™, not a business card. When I started my law practice, I realized that I would have to compete with the big law firms. I decided to make a business card that looked different than everyone else’s business card. My business card listed five lines of services I offered including my name, telephone number, and address. It was like a little billboard, rather than a business card. I call it a Wallet Billboard™. One of the five lines on my card said, “tough negotiator”, and the last line said “I provide personal service”. Because I didn’t have much money in those days, my cards were printed on white card stock. If you want to spend more money, you can print your Wallet Billboard™ on plastic cards or telephone cards which allow the user to make an emergency call. The card can be limited to one short call or to entice the user to keep the card, you can limit the user to one 3 minute telephone call every month. While writing this, I realized that I probably should sell these cards to lawyers who would like to use them, so very soon, I’ll provide a link so you can see what the Wallet Billboard™ looks like and an order form. Make sure you use a 1-800 toll free number on your cards. A toll free number simply rings to any of your existing local telephone lines. Many clients will have problems calling you. I have had many clients whose phone was disconnected becuase they didn’t pay the bill. They were glad to be able to call me on my toll free number. I have also had homeless clients and clients in jail who didn’t have a phone and needed to use my toll free number. Using a toll free number can make the difference of signing up a new client or losing a client to someone else. Today, toll free numbers are incredibly cheap, so you have no excuse not to have one. You can get a toll free number with no monthly service charge, no monthly minimums and incoming rates as cheap as 2 cents to 4.9 cents per minute, depending upon your state and local telephone service. They also give you 6 second rounding with a 30 second minimum call duration, so you pay very little for hang ups and wrong numbers. Just call Richard Schweitzer at 1-800-218-4142 Now800.com. I use Richard for two of my toll free numbers. One for my office and one for personal calls. Step number 2. Now that you have your cards, how do you get clients? The answer again is surprisingly simple. You give your cards to everyone you see during the day or night. During the period of time that you’re awake, you meet lots of people. For instance, in the morning you may buy a cup of coffee. The waitress and the cashier should each get one of your cards. Think about everyone you meet during the day, for instance, taxi drivers, the salesperson at every store you go to, the cashier at every store you go to from supermarkets to clothing stores, bank employees, etc. How do you give these cards to people you don’t know? That’s easier to say and also easier to do after the first time. It was a little difficult for me at first, however I finally got up the guts to give my Wallet Billboard™ to a perfect stranger. It was a cashier at a computer store. It was my turn to check out, and as I was paying the cashier, I handed her my card and blurted it out. I said, “Hi, I’m a personal injury lawyer and I thought I would give you my card in case you might need it one day”. After that, I found it wasn’t so difficult and I gave out lots of cards to lots of people, everywhere, everyday. Some people threw them out right in front of me, some people said thank you and put it on the cash register or in their wallet, and a few people said “Oh great, I just had an accident and I need a lawyer”. I signed up every one of those people and I even received a few phone calls over the years from people who had kept my cards. This one form of inexpensive lawyer advertising built up a very busy law practice with over 130 clients for a solo personal injury lawyer. Step number 3. How does a solo lawyer handle all your new clients? A) I used personal injury case management software from SAGA which is very sophisticated and can save many hours of work on a case. When I started my practice, not only was I a solo lawyer, but I had no one to answer the telephone. SAGA did the work of several people and allowed me to handle smaller cases which I would not have been able to do if I had to spend more than a couple of hours on them. You can read my review of SAGA here. Tip: If you already have cases and are not using personal injury case management software, after installation of the software start using it by entering new cases only. Then when you have time, start entering your previous cases one at a time. B) I frequently had scheduling conflicts with court appearances and EBT’s, so I frequently used per diem lawyers. 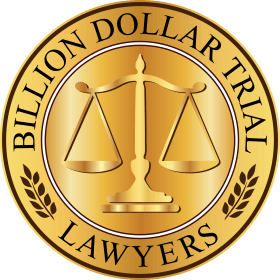 For the really good cases, I used friends of mine who were charging me a little more than per diem lawyers, however, I was assured that the EBT or court appearance was being handled properly. Referrals: While a great deal can be written about referrals, and I may someday write an in-depth article on the subject, I will keep it simple and to a minimum here. Simply put, if you pay money to anyone and a client is referred to you, there is a strong probability that you are obtaining an illegal referral, unless you’re dealing with a Bar Association. Advertising involves a risk. The risk is that you may pay for advertising and you will not sign up any clients. If I offer you a guarantee stating that if you advertise with my advertising agency, I guarantee that you will sign up enough cases to cover the cost of advertising, this guarantee turns your advertising campaign into an illegal referral system. If you get involved with advertising or with anyone offering to help you get cases, make sure you are actually paying for advertising and not for the cases. Advertising Schemes: I have been approached several times by both doctors and lawyers who have asked me about whether referrals are legal when they are billed by a so-called advertising agency for advertising/consulting services. Several years ago, I was approached directly by a runner who was recently arrested. The runner was introduced to me by a doctor who wanted my opinion as to whether this method of referring patients was legal. I was also offered cases to be referred me for $1,500 per case and told that I would be billed for advertising or consulting by his advertising agency. The clients would also be sent to my friend (the doctor) and he would also be charged an advertising or consulting fee. When I asked if I would be able to see the advertising, I was told that there would not be any actual advertising. The “advertising agency” would bill the doctors and lawyers for advertising or consulting fees. I declined the offer of clients and advised my friend (the doctor) that this person was a runner, that there was no advertising involved, that the payments were for referrals which were illegally obtained, and that the entire scheme was illegal. Obviously, neither one of us participated in this scheme. As was reported in the Newsday article about this runner, the clients were illegally obtained and illegally referred to the lawyer. The fee that is charged to the lawyer may be billed or invoiced to the lawyer for advertising or consulting services however, in reality there is never any advertising. Upon investigation, the lawyer and the “advertising agency” would be unable to show any proof that any money was ever spent for advertising. It’s amazing to me that many lawyers and doctors actually think that just because they’re billed for advertising services that an illegal referral could be considered legal advertising. I have even heard from other professionals, such as people in the mortgage industry, who were attempting to obtain business illegally by calling the referral something other than what it is. These people didn’t even have a clue that what they were doing was illegal. They actually thought that because they were calling it something else, it was illegal. The moral of the story is know who you’re doing business with and live by a simple rule: If you’re trying to make something look like something else, it’s probably illegal. This article was written by Philip Franckel, President of 1-800-HURT-911, Inc. If you would like information about advertising with 1-800-HURT-911, 1-800-USLAW-911 or 1-888-DRUG-CRIMES, see Advertising with 1-800-HURT-911 or send Philip Franckel an email.